Eight and a half years ago, a tiny little baby was born that changed my whole world. 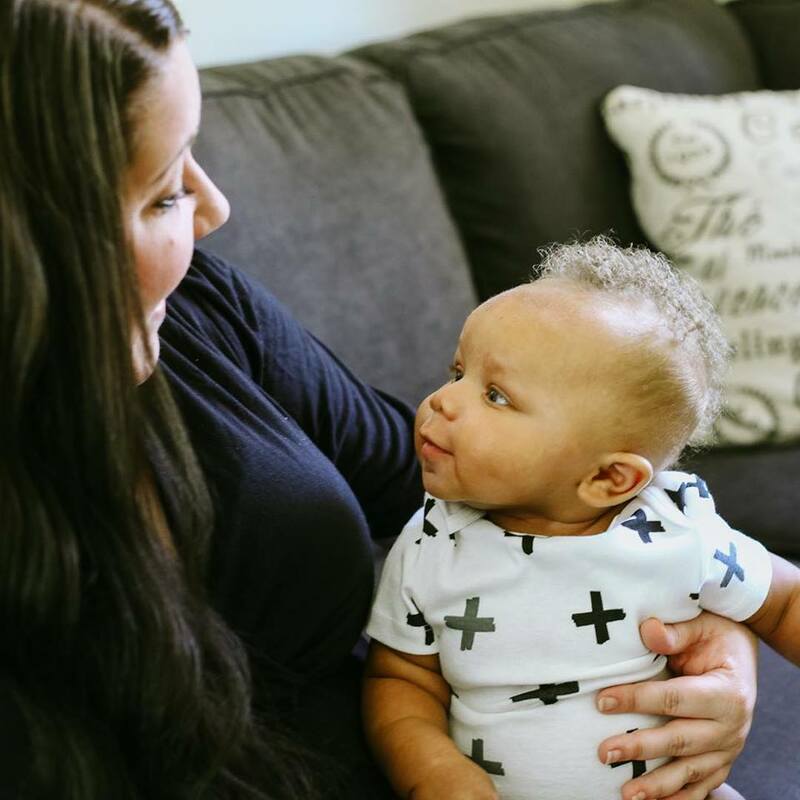 My marriage had practically started with a miscarriage (only three months after our wedding) and this tiny baby quickly became a light in my world. She cried for about the first year. Those days were pretty hard. And yet, she was still our light. 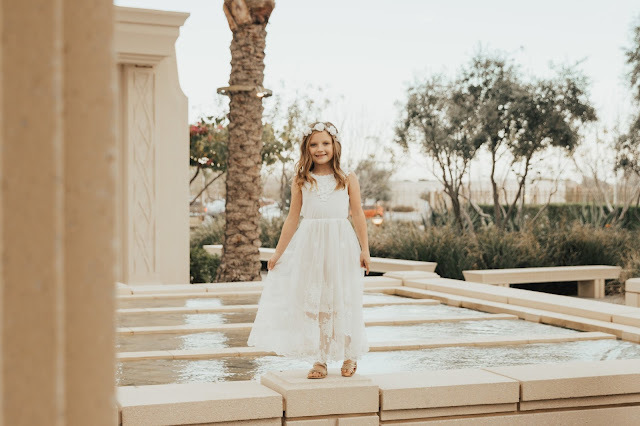 Last year, a few months before turning 8, we started having conversations about her birthday and she voiced her excitement and concern about baptism. She had people from all different sides telling her what the right choice was. And it seemed that every time she was with someone, she would change her mind to align with their views because she wanted to please us all. 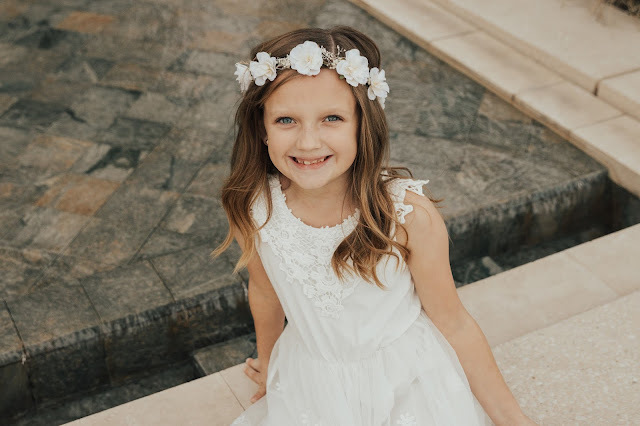 But in the end, I believe she made the right choice---because the right choice wasn't just to get baptized because she had hit a certain age. 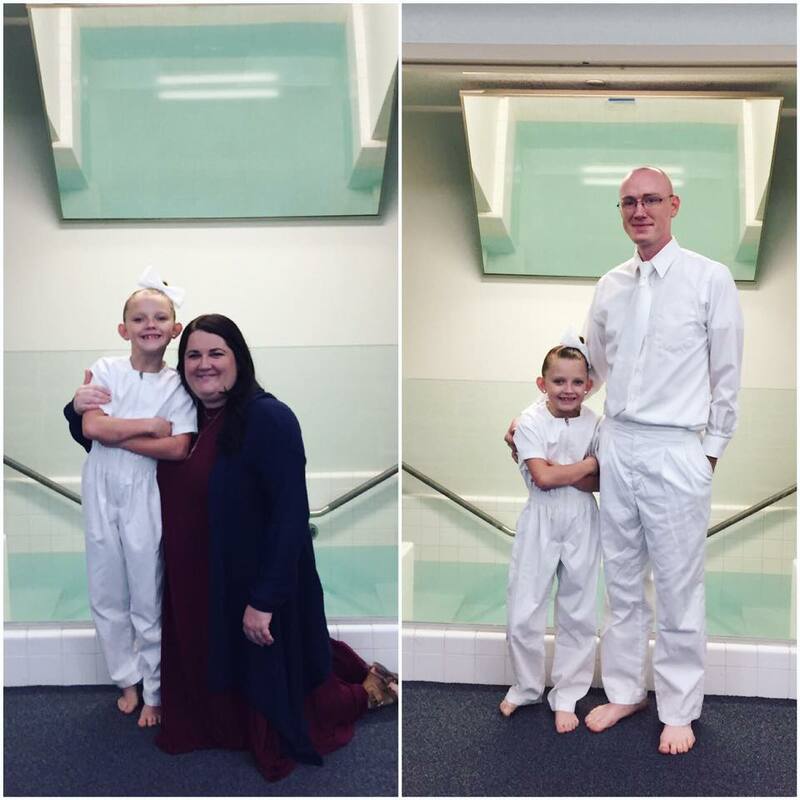 The right choice was to get baptized because she knew that is what she wanted. And when she turned 8, she didn't know. She had an actively LDS father and an actively Christian mother and she didn't know. Maybe she was afraid to disappoint me---although I wouldn't have been disappointed. Maybe she didn't know what she believed yet---and if she did know what she believed, I think those kinds of things are more fluid than most of us realize. Whatever the reason, she didn't get baptized. And although not everyone was happy about that decision, I was proud of my brave 8-year-old for making her own choice. The months went on and we were doing quite well. School has been good to Hayley this year and she has loved being in the same class as her best friend. 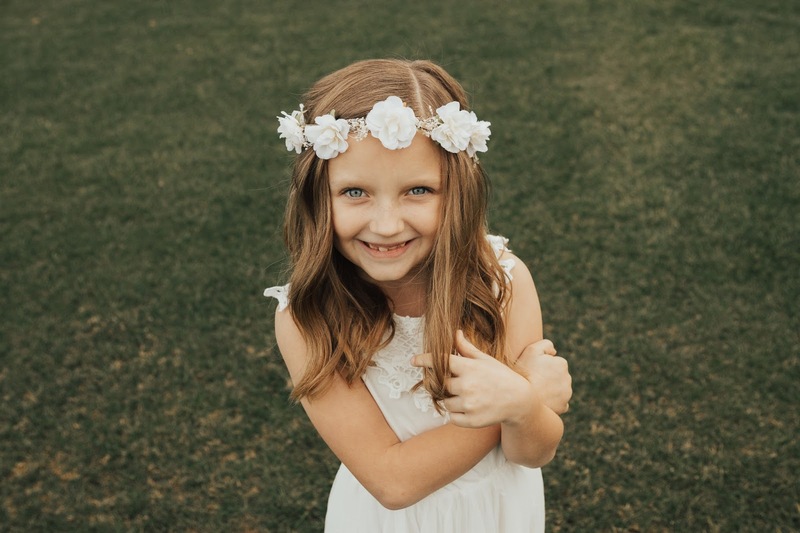 Dance team has been a huge blessing in her life and the transition to her new studio was smoother than it ever should've been for a shy little girl like Hayley. In fact, now that I think of it, she has been brave through ALL of our transitions this past year. In December, we had a family meeting about another huge transition---mom's transition back to the LDS church. When I brought it up to the kids, I knew it wouldn't be as big of a change for them as it was for me because they were already learning about the LDS church every other week with their dad. But when we started talking about it, baby girl started asking about baptism and what my thoughts were. I reassured her that my thoughts were the same as they had been in May---this was her decision. If she believed it was the right thing to do, she should do it. Her reply to me was, "Well, if I'm gonna do it, I only want to do it next week." As in, before Christmas. As in, before I had even told my family I was going back to church. I told her that couldn't happen, partly because mom needed some time to adjust and get things ready and partly because we would need to set it up with the bishop. It's funny to even say we 'compromised' on January. I was hoping she'd say February or March but she insisted that she wanted to do it as soon as she was able. So we scheduled it for one whole month after God had told me it was time to come back. 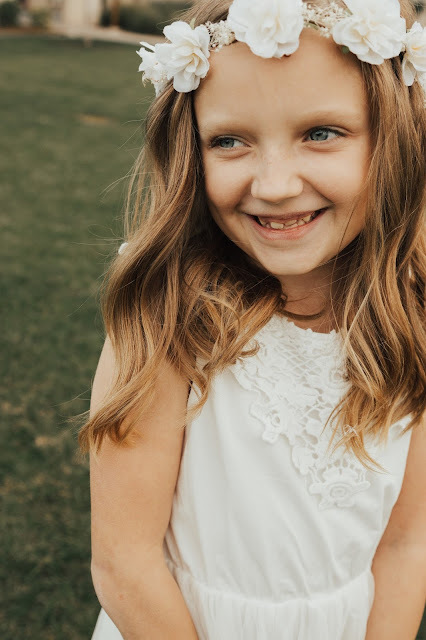 The weeks leading up to that day, I wanted to make sure she understood her decision so we poured over scriptures and bought books about baptism at the store. We prayed about it together and talked about it almost every day. She seemed ready---and that helped me to be ready. 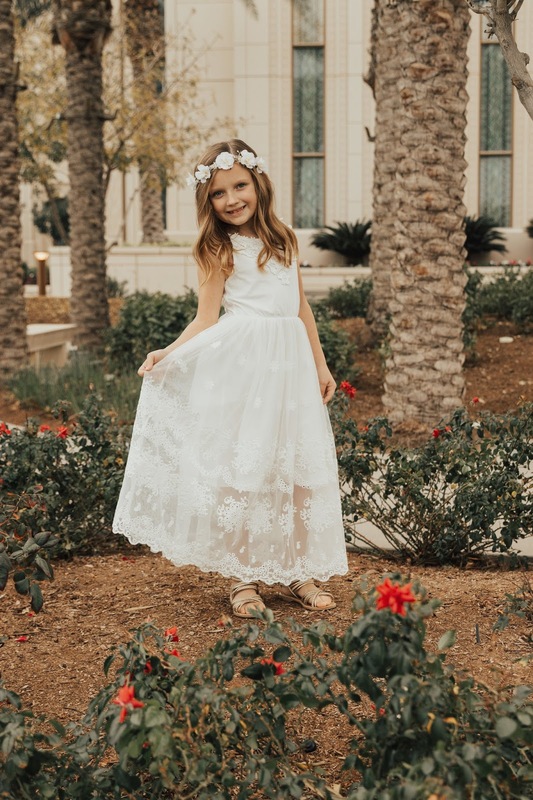 And the day finally came when I slipped that white dress on her and did her hair in the tightest bun possible and we drove over to the church together. I was still so nervous----because I'm so protective of her and wanted this to be a good experience. I didn't want her to be scared or anxious. But you know, I can't protect her from everything. She still got anxious. In fact, during the second talk in the chapel, she began to cry because she got embarrassed and didn't stop crying until she was about to get in the water. I was so worried for her. I held her in my arms and whispered to her how brave she is and how much I love her over and over again. And although she insisted I stay right at the top stair going into the baptismal font, she did it. With her dad in the water and her mom standing a few feet away, she was baptized. I wish I could describe the tangible feelings in that room as Hayley was baptized. As her dad started to cry and then I started to cry, I felt so close to my Heavenly Father. I felt very distinct feelings that our family is still a bonded family. The moments leading up to Hayley's baptism were also overwhelming. As we walked into the room where she was going to be baptized, I hadn't realized how many people were there for her. All of the chairs were filled and a large number of people had to stand up in the back to even fit in the room. 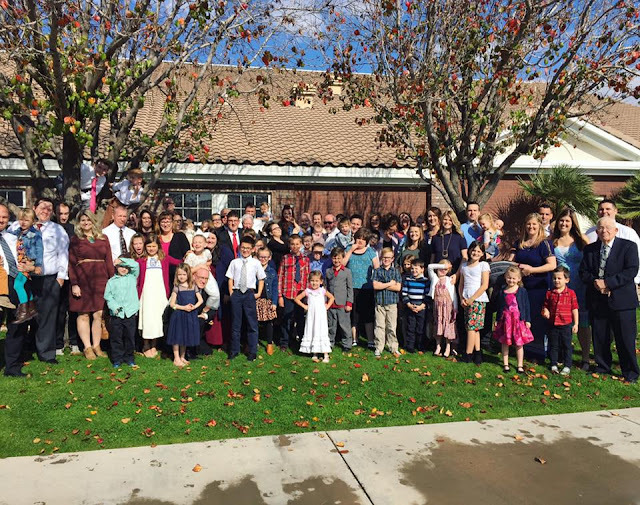 Our bishopric member said it was the largest turnout he has witnessed at a child's baptism. This. Girl. Is. So. Loved. I got really emotional seeing so many people that I loved so dearly there to support my baby girl. It was an incredible day. A day filled with love from both sides of her family and from a large group of her friends too. A day where it wasn't his family and my family but Hayley's family---where we were all united together because our only focus was the celebration of Hayley's life and decision. It's pretty safe to say that I've been taught more by Hayley than she's been taught by me. I like to think I'm shaping her into a responsible human being but in reality, she is shaping me to focus on my eternal perspective. 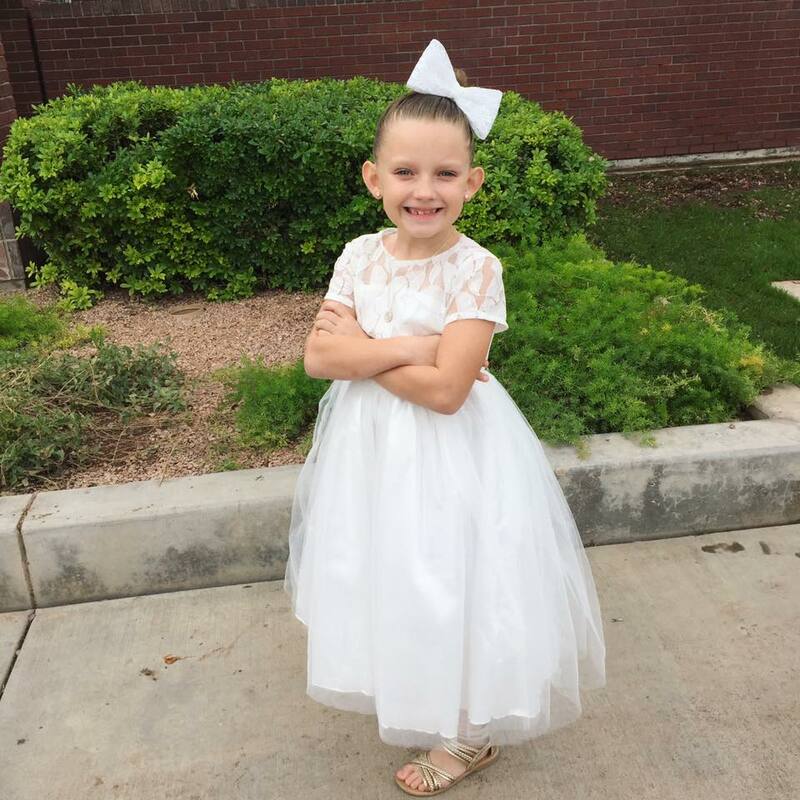 I am proud of my brave girl for making the choice to be baptized. 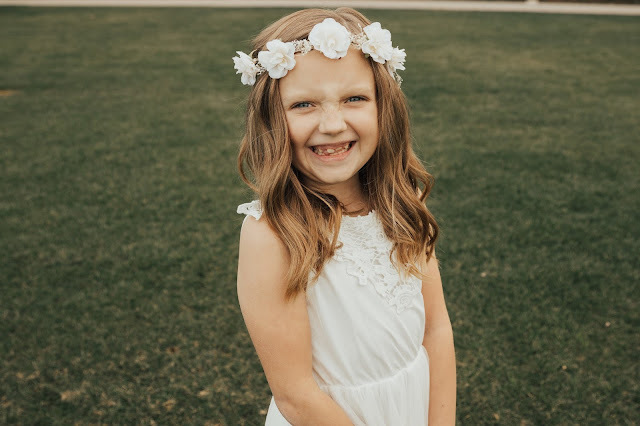 I know this decision was hard for her and came with a lot of confusion because she has witnessed a lot of coming and going from her parents in the LDS church in the past four years. And quite honestly, I'm mostly just proud of her because she is an amazing little girl. An amazing little girl with an amazingly huge heart. This story speaks to me right now,My daughter is 9 and not baptized yet. Her dad is anxious for her to be baptized. I want her to be ready and to understand what baptism means. I'm trying to teach her that it isn't about pleasing her dad or me, that it is about doing what she feels is right.